We've previously highlighted Typical Kebabexpress and Peculiar Unisex Hair. Reader Conrad Roth now sends us a few additional oddments form around the capital, and we've also rounded up a few other suggestions from readers. 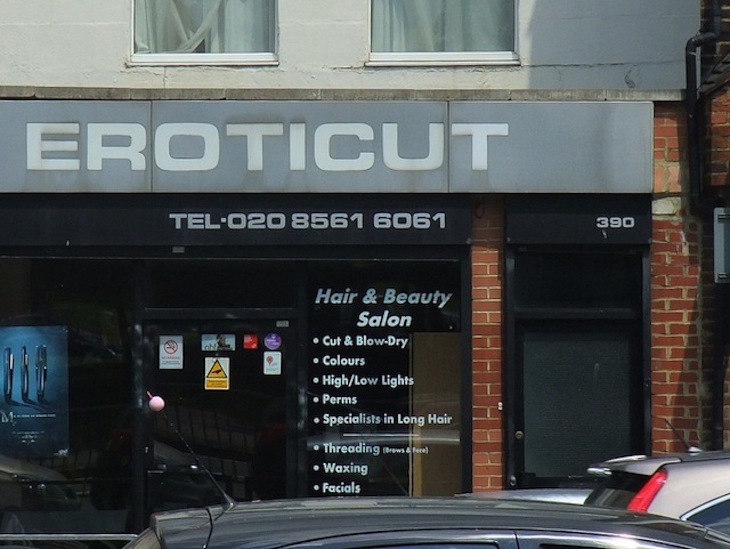 The intriguing Eroticut on Uxbridge Road presumably offers something for the weekend among its facials and blow drys. 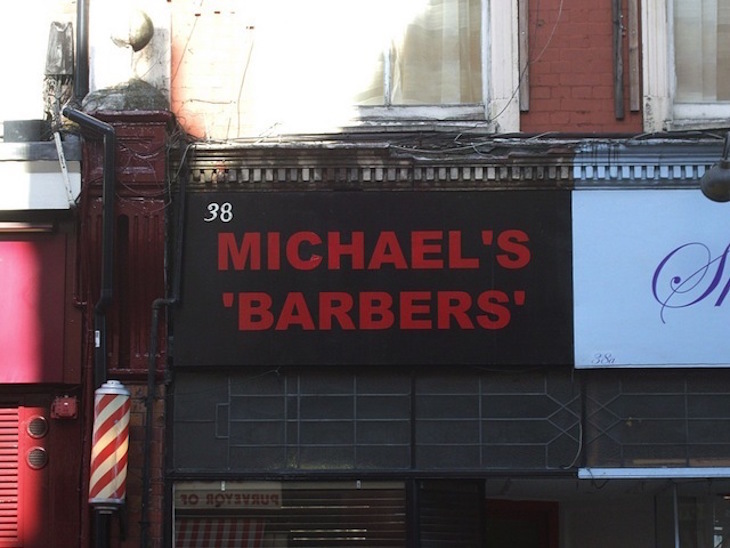 Michael's 'Barbers' at 38 Tottenham Lane, meanwhile, leaves us wondering about the quote marks. 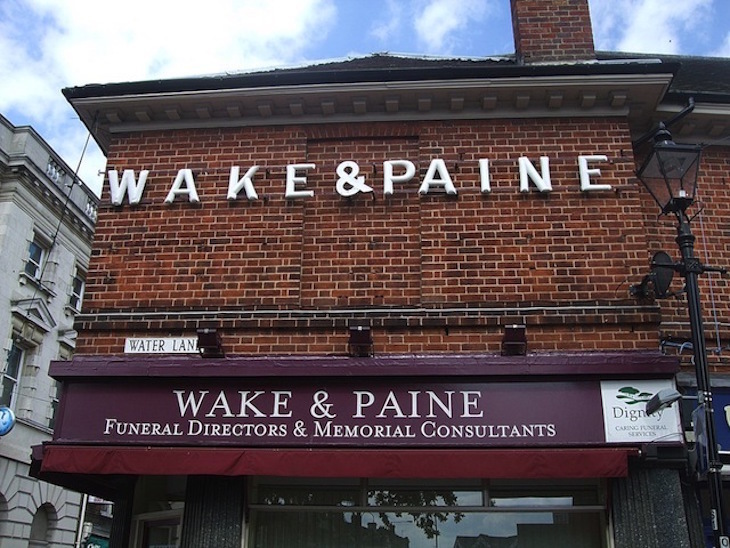 Wake and Paine undertakers in Twickenham are the ultimate example of what New Scientist used to call 'nominative determinism' — people whose names influence them into a particular trade. 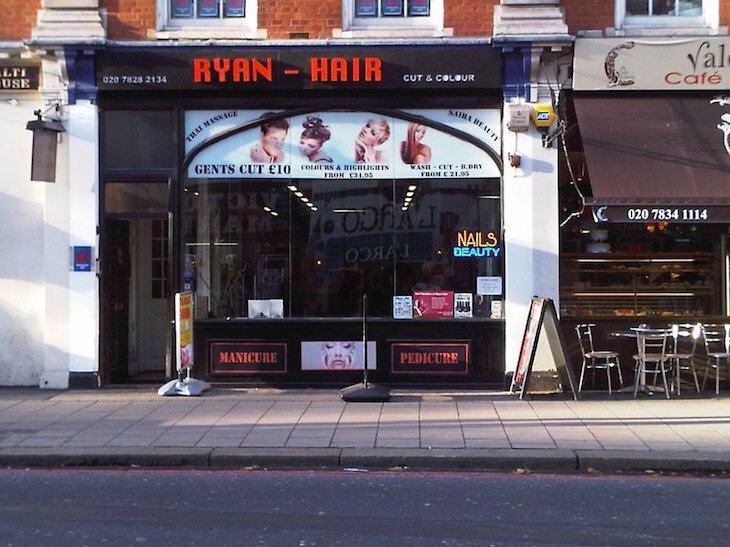 Ryan Hair near Victoria is nominated by 'Parry' in the comments to our Typical Kebabexpress post. 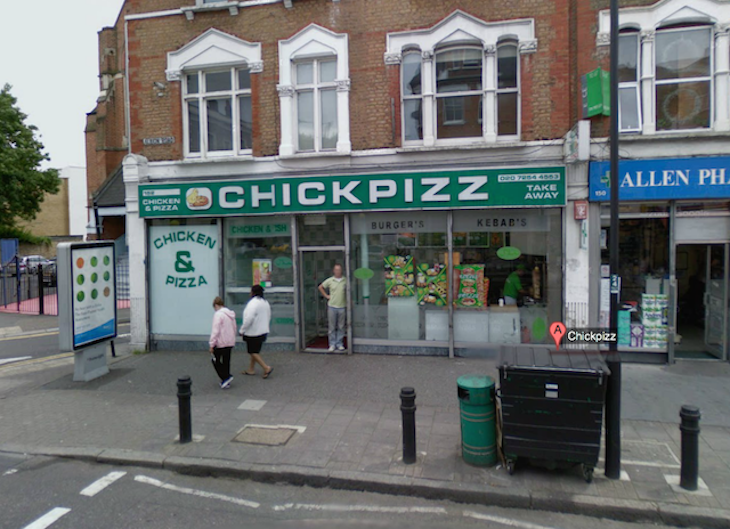 The nastily evocative Chickpizz on Albion Road, Stoke Newington, gets commenter Sal's juices flowing. And, finally, an old favourite from your humble editor M@, who snapped the final photo of 'Shoot The Aged', a pine furniture shop in Blackheath that closed sometime around the Millennium. Gone but not forgotten. Got your own favourite? Let us know in the comments.